The Masters Tournament honored the great Arnold Palmer with this collectible pin upon entrance to the 2017 Thursday opening round. This was the first Masters without Arnie since the 1950's, his presence will be missed for years to come. 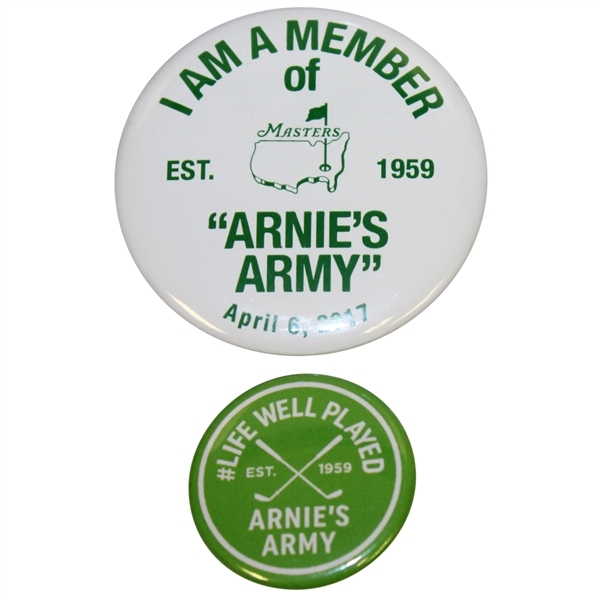 The pin reads "I AM A MEMBER OF ARNIE'S ARMY" with the Masters logo in the center, "Established in 1959," and is dated April 6, 2017. 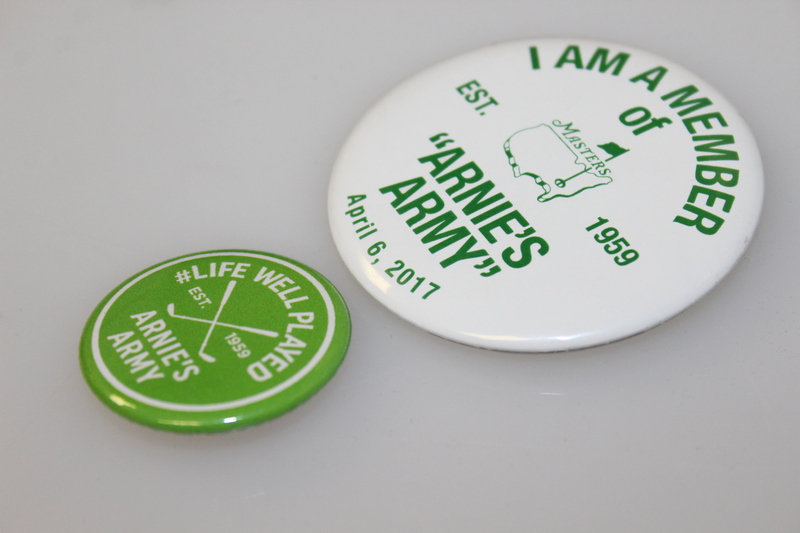 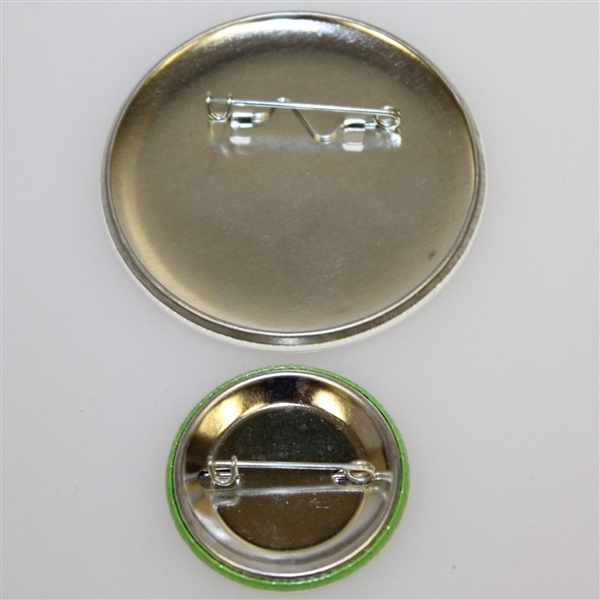 Also included is a smaller commemorative pin that reads "#A Life Well Played." Both come in great condition.